Bamboo & rice husk. Sustainable & natural. 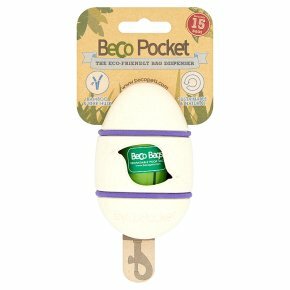 Fits most leads.Beco Pockets are made from the natural fibres found in bamboo and rice husks. This makes them both sustainable to produce and degradable when finished with. They are designed to fit easily on any dog lead with our unique bungee clip. Retain packaging for future reference.